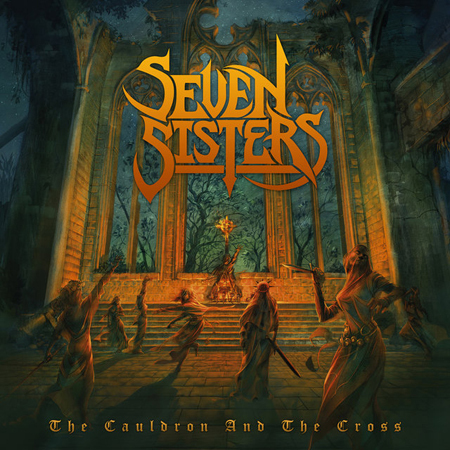 Seven Sisters will release their long awaited and highly anticipated second album, 'The Cauldron And The Cross', via Dissonance on April 13th 2018. 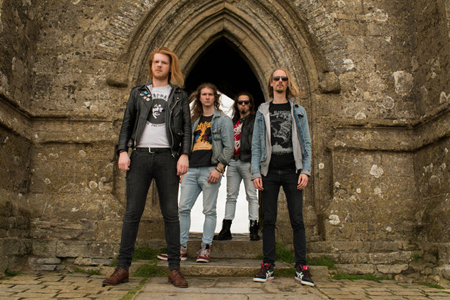 Dissonance are leading the way of a new wave of NWOBHM and are delivering all that is good in the current British Heavy Metal scene and Seven Sisters are about to deliver a killer album that is sure to please every headbanger. It's only logical to follow up the fastest song on the album with the heaviest! The lyrics of 'Blood And Fire' focus on the old Pagan ritual of Beltane, and the bonding of Arthur to the land so he can be the true king of Britain, accepted by Christian and Pagan alike. The swing feel of the guitars and folk-like melodies throughout strengthen the Pagan theme of the lyrics. Now that Arthur has completed the Beltane ritual he can be crowned as the true king of Britain! A strong twin-guitar melody features throughout the song, as well as a big chorus hook. It wouldn't be a Seven Sisters song, however, without a musical twist in the middle! The instrumental section draws on some thrash influences before winding its way into a double chorus with a big Bon Jovi key change to finish. This is the first song we wrote for the album, and will be our lead-off single with a video currently in the works. Another shift musically brings us through the mists of Avalon to the forgotten land itself. At this point in the story the balance between Christianity and the old Pagan ways of life are already becoming unstable. 'Parting The Mists' is about the journey Morgaine takes to reach Avalon for the first time. She has a sense that a new way of life is about to unfold for her, as she leaves behind the Christian upbringing of her childhood to train as a Priestess of Avalon. From Avalon we return to the now Christian Britain. Spirits are high as the Saxons are being driven back and Arthur's reign is as successful as it was promised to be. This is another twin-guitar driven track with an upbeat feel and a strong chorus. The middle-eight even features a phase-drenched bass solo. Catchy harmonies and melodies abound! Entering uncharted territory for Seven Sisters, this is our very first ballad (every great album needs one!). The clean verses and heavy chorus reflect the two worlds that Arthur is caught between. The lyrics are the thoughts of a young man trapped directly in the middle of a struggle that he was essentially forced to be a part of. Expect big choruses and bigger solos. We're looking forward to playing this one live to see how people react, because it's definitely slightly different than what we're known for. After Arthur's decision to march in to battle under the sign of the cross rather than the Pendragon banner of his father, Pagan Britian is essentially consigned to the realms of memory. A harmonic minor tonality runs through the song giving it an evil atmosphere, juxtaposed with fleeting twin-guitar passages and a bittersweet, triumphant chorus. Think Yngwie Malmsteen meets Mercyful Fate. Riffs ahoy! Part one of the title track epic begins with a foreboding twin-guitar duel that charges into a galloping rhythm with soaring melodies. The lyrics explore the folly of any claim to power, and argue that Christianity and Paganism (and indeed any other religion) are essentially one and the same thing in terms of their core values and principles. It's simply preachers and leaders using religion for their own ends that sew the seeds of division and hatred in society, rather than the religions themselves. The track slowly fades from an evil waltz into the beginning of part two as the church bells of St Michael ring out. The final track eases in with reflective acoustic guitar, augmented with shimmering harmonics before thundering in with more galloping guitars. The dynamic variety of the track plays well against the conflicting ideals the lyrics focus on. After an ethereal instrumental section, the second part of the title-track epic comes to end with a crash, and so the album is complete and story told. This is probably the most ambitious track of our career to date, and seemed as good a way as any to close the album. "Seven Sisters are one of British Metals shining new lights." 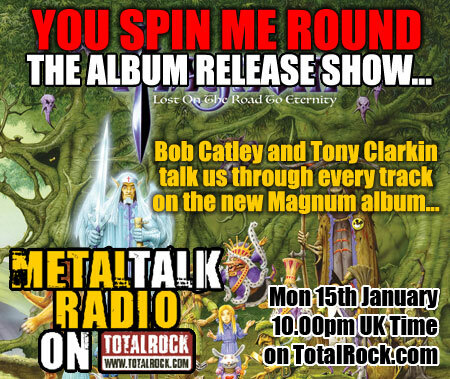 "An album full of brilliant Metal from start to finished!" 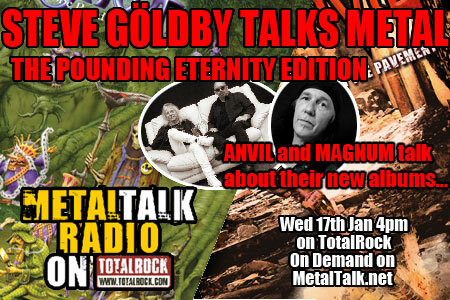 "Destined to be a British Metal Classic!" 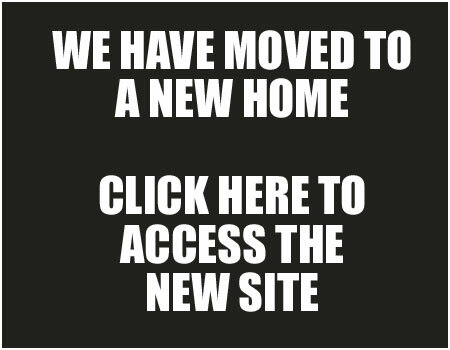 "The future of British Metal - killer!"